The Most Competitive Men’s Basketball League in Indiana is back and better than ever ! The 3 on 3 basketball league is soon entering it’s 8th season and we want you to be a part of the action. For more information keep scrolling down! Last season the LivRite Legends ran through the competition en route to the first undefeated season in league history. Josh Dather was named MVP after averaging 42 points a game. The Servants led by Kyle Lymberopoulos are still looking for their first playoff win. Registration for next season ends soon so be sure to reserve your spot! 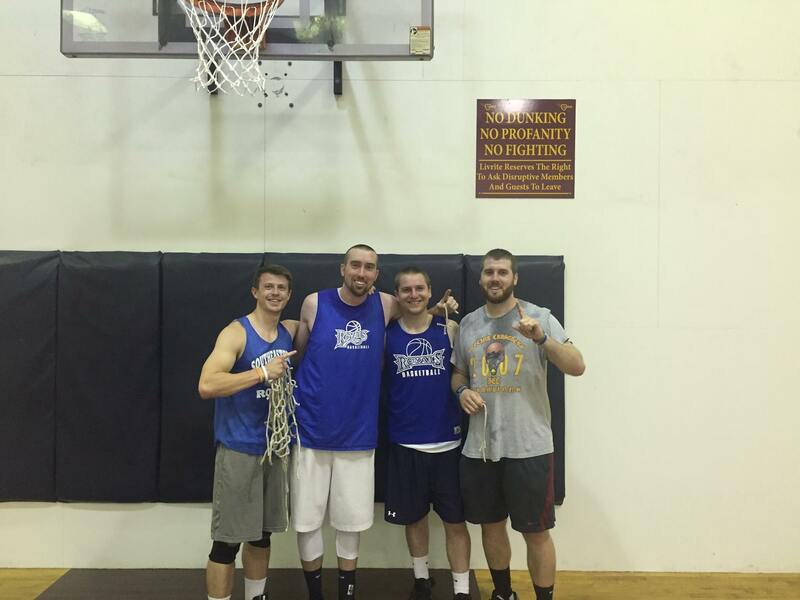 The spring 2015 league winners “the bye week” seen celebrating their championship after cutting down the nets. Matt Page hit a game winning 3 point shot as time expired ! Registration for next season ends soon. Reserve your spot today for your shot at glory! When are the games for the basketball league? 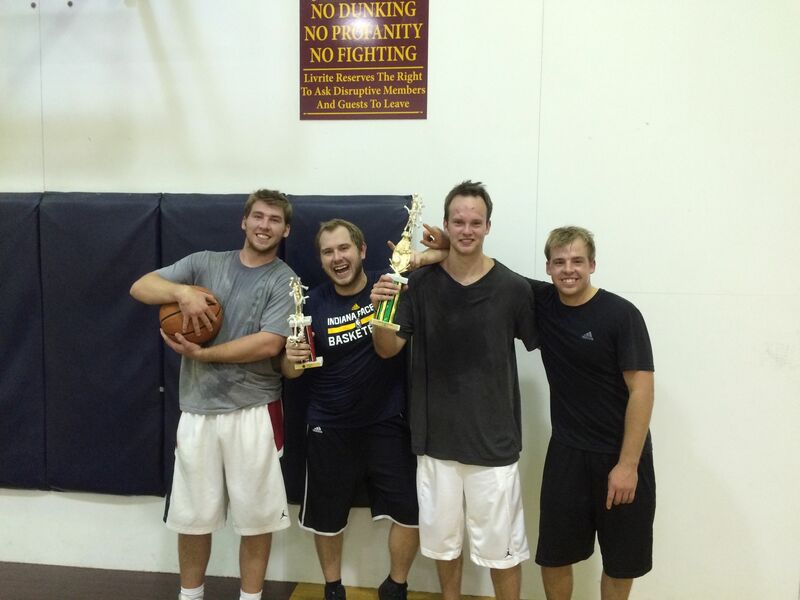 Leagues games are played every week on Thursday nights from 6:00 PM to 10:00 PM. What if I don’t a team? Can I still play in the bball league? Absolutely! Each team is required to have at least 4 players on their roster. If you don’t have enough players on your team then we will fill your roster with people looking for a team. If you don’t have a team then we will find one for you! I can’t play on Tuesdays or Thursdays, am I out of luck? Pick up basketball games are played all other days so you can still get some great games in! Weekend mornings are especially popular for pick up basketball games! The basketball league is for 18-40 year olds. I’m over 40, can I play in a basketball league? When does my team play this week? You can find the schedule for the basketball league on our Facebook Page.